The University of Zambia has commissioned a K10.5 million ultra modern commercial printer. During the commissioning ceremony at the UNZA Vice Chancellor Prof Luke Mumba revealed that the printer had the capacity to handle all kinds of printing jobs including election ballot papers. The Vice Chancellor said UNZA was now ready to handle any form of printing and has invited companies, organisations and the government to make use of the ultra modern printing machine for quality end products. Prof. Mumba says the institution has embarked on a robust recapitalization programme of its operations in order to expand the institution’s revenue base. He also expects the printing revenue for UNZA Printers to increase from the current K675, 000 to K1.7 million per quarter. He said the institution expects to make around K6.8 million per annum from the printer and be able to recoup the expenditure within a short time frame. Mumba also explained that the new printer will increase UNZA’s printing market share from the current 30 percent to 60 percent in the Higher Education sector. He disclosed that the money used to purchase the printer was not a loan or a grant but was earned using UNZA’S internal revenue lines. Meanwhile, Minister of Higher Education Nkandu Luo said there was need to create a mechanism to ensure that such business ventures live up to their expectations. Luo , whose speech was read by Higher Education Permanent Secretary Mabvuto Sakala, further demanded that her ministry wants to see profits being made from the printer. 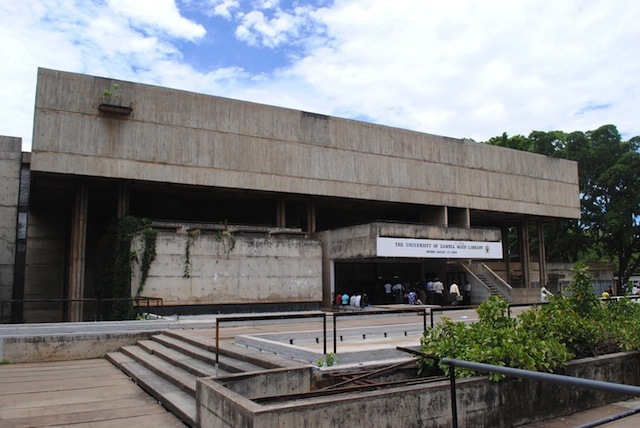 Luo also said that allocated funding to the higher education sector will not be sufficient to meet the full costs required to ensure that UNZA runs smoothly. She noted that despite her knowledge of the many challenges UNZA faces, it was only possible to resolve them when it was clear that the institution could not handle them by itself. Earlier on, Heidelberg, the company which supplied the printer to UNZA said the version of the printer was “a true revelation to the printing business”. Heidelberg South Africa Company representative Gordon Smith said the machine saved 300 hours per year due to automated plate change.